Jupiter Island resident Tiger Woods completed another historic Masters win on Sunday afternoon, winning the tournament for a fifth time. 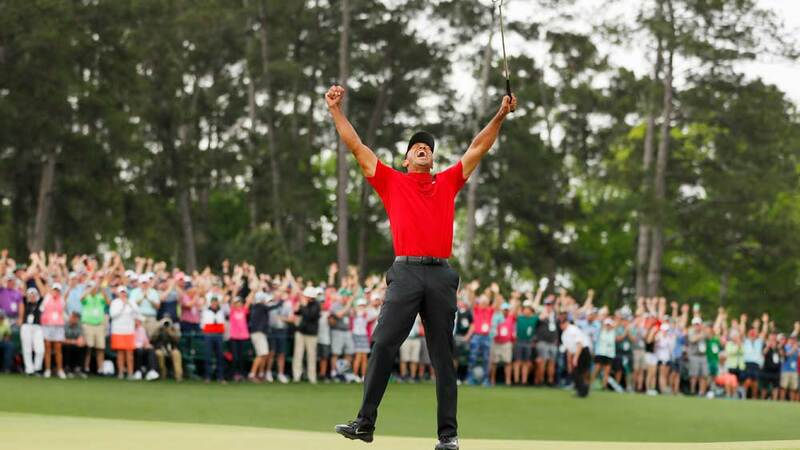 JUPITER, Fla. — Jupiter Island resident Tiger Woods completed another historic Masters win on Sunday afternoon , winning the tournament for a fifth time. “I think we all had a tear in our eye,” said Delaire Country Club golf pro Joe Jones. Jones says he couldn’t look away from this year’s coverage after following Woods’ career for decades. The Boca Raton-based golf pro says he first watched Woods play in the World Junior Championship in San Diego when Woods was 12 years old. “I’ve always kept memorabilia and I have all kinds,” said Jones. Jones’ personal collection includes tickets from the 1997 Masters that he attended. That was the year Tiger won the tournament for the first time at 21 years old, making history as the youngest player to ever win at Augusta National. “He’s the guy that moves the needle,” said Jones. This year’s win is no exception. Not only was it the first major win for the golfer in more than a decade, but it also marks the first time in Woods’ career to go into a Sunday round not in the lead, yet be able to come out on top. “The first time he’s ever been a comeback winner, and it played out perfectly. It couldn’t have been more dramatic,” said Jones. From people’s living rooms to Tiger’s restaurant and bar, The Woods, located in Harbourside in Jupiter, fans couldn’t contain their excitement. You can see in videos all over social media, champagne was flowing inside of the restaurant after he sank the winning putt. Woods is now three wins away from tying the current record for most Majors won, which is currently held by Jack Nicklaus with 18. Sunday’s success isn’t just significant for Tiger, but the entire South Florida golf community. “The buzz that he’s now created in golf will keep it going for the whole summer. People will leave to go up north and continue. It’s just a fantastic thing for Palm Beach County. It’s just amazing. Golf will boom,” said Jones. Jones says his best advice to those interested in picking up the sport for the first time is to consider taking lessons from a golf pro to learn correct form, attend any clinics offered in your area and look into the First Tee and junior programs for kids.